Asia’s current security map finds itself being reimaged in the midst of the evolving regional re-alignments in a fast changing regional order. Driven by ‘Great Power’ and regional players, the idea of ‘Asia-Pacific’ that seemed apt as a regional framework at least till the late 20th century, finds for itself, a far more broadened scope geographically. The matrix has been instrumental in paving way for the Indo-Pacific region at large. “Indo-Pacific” as a region includes maritime Asia at its core, coupled with geographical boundaries that extend from the Eastern Coast of Africa, through the Indian Ocean, until the Western Pacific.For more and related details see, Rory Medcalf, “Reimagining Asia: From Asia-Pacific to Indo-Pacific,” The Asan Forum, June 26, 2015, available at http://www.theasanforum.org/reimagining-asia-from-asia-pacific-toindo-pacific/Asia’s tectonic shifts in power politics shall continue to challenge future stability in the region. Festering territorial and maritime disputes, worsening resource competition, fast-rising military expenditures, and polarizing waves of domestic nationalisms make it only more germane to making efforts towards arriving upon a common understanding and approach for an Indo-Pacific definition of Asia. It has been more than two decades ever since India executed a calibrated shift in its foreign policy orientation in the Indo-Pacific region, by pronouncing the “Look East” policy in 1991. Commitment to maintaining the security of the Indo-Pacific region, prompted by common challenges and proactive leadership, gives India the opportunity to take a regional lead. Symbolizing acknowledgment of the economic and strategic dependence on developments across a much wider maritime region, Indo-Pacific prioritizes allocation of resources, security partners, membership and agendas of regional diplomatic and security institutions.Ibid.This also suggests that the Indo-Pacific region will remain central in achieving its foreign policy objectives, whilst also underscoring that the history, geo-economics, geopolitics and strategic cultures amongst major players represents a fundamental clash of interests that would pose as a major obstacle to their co-existence.For a detailed debate on India-China relations, see Mohan J. Malik, China and India: Great Power Rivals, (First Forum Press, Boulder, 2011) p. 9.This eventually shall become a vital determinant for the evolution of the region’s power balance. The ongoing power play among major powers increasingly demonstrates that Indo-Pacific security institutions will most likely serve as instruments of competitive influence. Efforts need to be stepped up to work towards a framework to promote security dialogue and interlinked partnerships among major Indo-Pacific democracies. Common interests and shared values will help in fostering power stability and build cooperation that is mutually beneficial and rewarding. This optimism notwithstanding, the question that continues to loom large is that can the Indo-Pacific come together as a strategic system, given the expanse and size of the region? Common regional security challenges straddle a geographic space extending from the Indian Ocean to the Pacific Ocean, and incorporate risks in South, Southeast and Northeast Asia. This paper intends to outline the growing commonalities that drive Indo-Japanese collaboration in the Indo-Pacific given the re-orientation of India’s strategic focus from a ‘Look East’ to an ‘Act East’ dogma, which is well matched with Japan’s ‘Confluence of the Two Seas’ vision. These two approaches find manifestation in the overall pragmatist policy approach undertaken by Tokyo and New Delhi towards the Indo-Pacific region to meet common threats and challenges to regional peace and stability. The momentum at which the Indo-Pacific has become New Delhi and Tokyo’s strategic focal point is unmistakable and characteristic. Presence and engagement with Japan shall remain a vital pillar of India’s renewed ‘Act East’ strategy. In this backdrop, the aim of this research paper is to focus on two specific future avenues for Indo-Japanese partnership; i.e., deep-sea exploration and enhancing sustainable marine resource governance in the Indian Ocean Region of Rare Earth Elements which are critical for future defense requirements; and regional connectivity with increased Japanese investments for infrastructure in India’s Northeast region. At a time when the momentum and stakes in exploring seabed minerals is gaining ground, the prospect for technological innovations in deep-sea exploration in the Indian Ocean Region holds immense potential for future Indo-Japanese collaboration.Monika Chansoria, “India, Japan alliance must for rare earth search,” The Sunday Guardian, October 17, 2015.Rare Earth Elements (REEs) are a set of 17 chemical elements in the periodic table, found relatively in abundance in the Earth's crust. What makes them ‘rare’ is their availability in quantities that are significant enough to support viable economic mineral development. Besides, they are not consumable from an economic viability point of view, primarily since they are not concentrated enough. REEs are essential for consumer electronics, including cell phones, laptops and green energy technologies. From figures available in 2010, the annual global usage of rare earth metals stood over 120,000 tons. By means of mining almost 89 percent of the world’s rare earth elements output until 2011, China is known to restrict the exports of these elements by employing procedures such as quotas and export tariffs. The policy put in effect by China seemingly aims at lowering prices for Chinese firms through which they can obtain an unfair competitive advantage.Monika Chansoria, “China monopolizes rare earth trade,” The Sunday Guardian, September 12, 2015.The world’s biggest rare-earth consumer, China, cares less about exporting these elements for profit, and feeds its domestic high-tech industries. Besides, keeping the material at home also encourages foreign corporations to manufacture inside China.Lee Simmons, “Rare Earth Market” Foreign Policy [FP] July 12, 2016.The phenomenon of imposing a limited or expansive “rare earth metals embargo” appears a potent tool that the Chinese policymakers are likely to employ for securing geopolitical objectives. Heavy dependencies on rare earth imports from China can be gauged from the fact that Japan receives 82 percent of its rare earth elements from China. On the contrary, for Beijing, rare earth elements being exported to Japan stand at just 40 percent. To counter this, in March 2012, the Obama administration announced its decision of jointly filing a case along with Japan and the European Union (EU) against China at the World Trade Organization, citing unfair trade practices in rare earths and limiting rare earth exports. Proving a setback for Beijing, the WTO found China in clear violation of global trade rules. Subsequently, Beijing lost the August 2014 appeal, with the Appellate Body ruling, "China has not demonstrated that the export quotas that China applies to various forms of rare earths ... by virtue of the series of measures at issue are justified." The WTO further stated that China's export duties on rare-earth metals are inconsistent with its obligations. And, all the export quotas for rare earths have since been abolished. Japan is known to invest heavily in deep-sea exploration activities. A Japanese consortium, led by Mitsubishi Heavy Industries Ltd. and Nippon Steel & Sumitomo Metal Corp.’s engineering unit, is conducting a pilot mining and lifting of ore at the Izena sea hole in the area off the southern island of Okinawa starting April 1, 2017, and confirmed deposits of 7.4 million tons of ore approximately. China’s restrictive and stringent policies, as discussed above, have driven nations including Japan, to seek alternative sources. In this reference, the Japanese government’s policy now is to source more than 60 percent of its rare earths’ requirements from outside of China by 2018, with major Japanese corporations developing mining projects in cooperation with local entities in Australia, India, and Kazakhstan. By means of earmarking a $1.5-billion corpus for developing alternative sources of rare earths, there is an effort to notch up joint venture partnerships to secure supplies of rare earth elements, with Japanese firms being backed by the Japanese government entering into international partnerships.Chansoria, n. 4.These include the Sumitomo Corp and the Kazakhstan National Mining Co — Kazatomprom; Toyota Tsusho and Sojitz partnering with Vietnam’s Dong Pao project; and state-run Japan Oil, Gas and Metals National Corporation (JOGMEC) partnering with India to explore for REEs and establishing a processing facility. Additionally, JOGMEC is also seeking investments in Australia’s Lynas Corporation. Japan has been the pivot in building capacities including opening a Rare Earth Research and Technology Transfer Centre in Hanoi, Vietnam. Advances in high-end technologies, depleted easy-to-reach minerals onshore have boosted the idea for offshore mining — mainly because metals can be fifteen times the quality of land deposits using these methodologies. The JOGMEC, which is instrumental in securing energy and mineral supplies, and providing support for seabed ventures, has identified an area off Okinawa as demonstrating the greatest potential.As cited in Masumi Suga and Ichiro Suzuki, “Japan plans to search for, mine metals deep beneath the ocean,” Bloomberg, August 9, 2016.Moreover, Japan’s Natural Resources and Energy Agency has commissioned Japan Oil, Gas, Metals National Corporation to develop robotic deep-sea mining technology to evacuate minerals. The primary aim for this was stabilization of the supply of rare metals used for high-tech equipment. Indo-Japanese collaboration in the field of rare earths holds immense potential in the backdrop that Japan is the second-largest consumer of rare earths globally. A vital component of the Japanese policy of regional integration has been its “rare earths diplomacy initiative”. This above also needs to be read and analyzed in reference to the recommendations of a Steering Committee that was constituted by India’s Ministry of Mines. The assigned task was to prepare a strategy paper prescribing short, medium, and long-term policy options, along with proposals for specific policy and legislative interventions, for exploration, extraction and recycling for ensuring an uninterrupted supply chain for REEs and Energy Critical Elements (ECEs) for meeting the requirements of clean energy and strategic sectors. With respect to exploration, the Committee recommended in 2012 that there is a need for pursuing exploration efforts with modern concepts and tools including remote sensing and computerization capabilities to produce detailed and accurate data and information of unexplored areas, both by Geological Survey of India and Atomic Minerals Division during the XII Five Year Plan for locating suitable target areas for further search of economically exploitable deposits of REEs.Report by the Ministry of Mines, “Rare Earths and Energy Critical Elements: A Roadmap and Strategy for India” Government of India, New Delhi, July 2012. Additionally, a proposed policy initiative was an urgent need of placing a thrust on cooperative research in geological modeling of the mineral deposits, ore forming systems, basic geochemistry and development of indigenous extraction and processing technologies of these elements. Significantly, the options of collaborating with foreign laboratories were proposed to be kept open.Ibid. Deep-sea mining has officially been recognized as a future frontier of scientific research in India as remains evident from the acquisition of deep-sea exploration ship Samudra Ratnakar from South Korea, which is equipped with sophisticated deep-sea survey instruments. This provides it with a qualitative edge over other survey ships when it comes to oceanographic research, and enables it for accurately surveying the seabed, and analyzing excavated material. According to an estimate, the total mass of nodules in the area allocated to India in the Indian Ocean Region is 380 million metric tons. However, the Samudra Ratnakar alone will not be sufficient to find and extract materials. Based on this consideration, India should seriously contemplate a proposal for deep-sea mining and production technology from Tokyo under the strategic dialogue framework as well as acquisition of deep-sea exploration vessels. The Industrial Development Corporation of Odisha Limited (IDCOL) and Indian Rare Earth Limited (IREL), operating under the Department of Atomic Energy, have signed an MoU to set up a mineral separation plant in the Ganjam district of Orissa that will undertake beach sand mining and mineral processing to produce limonite, garnet, sillimanite, rutile, zircon and monazite. A subsidiary of Japan’s Toyota Tsusho Corporation is already based at Vishakhapatnam, and is involved in the production of REEs while also operating a monazite sand rare earth production base. Recently, Indian Rare Earths Ltd has sought clearance for rare earths mining from sand in the coastal stretch of around 2,500 hectares at Bramhagiri (Puri district, in the state of Orissa). With these mechanisms already in place, extended Japanese collaboration in this sphere could prove vital. 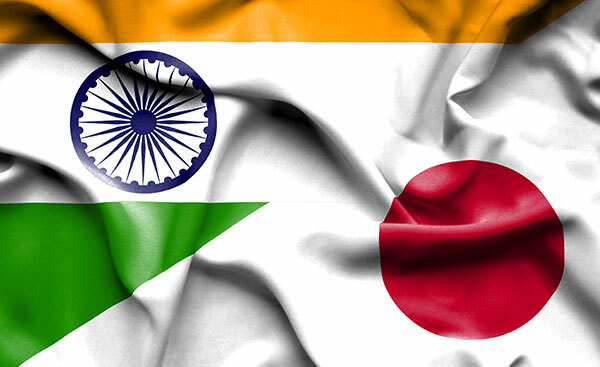 In reflection, amid the larger framework of the Indo-Japanese strategic collaboration, Tokyo and New Delhi have signed a substantial agreement in September 2014 on the commercial contract between Indian Rare Earths Limited (IREL) and Toyota Tsusho Corporation (TTC) for the exploration and production of rare earths. They are working towards finalizing the commercial contract and commencement of commercial production. The Ministry of Earth Sciences of India and the Japan Agency for Marine-Earth Science and Technology (JAMSTEC) have agreed to launch innovative cooperation in the field of ocean and earth science & technology, which includes ocean observation, climate variability, and geophysical studies in the Indian Ocean and deep-sea technologies. In a June 2016 cabinet meeting chaired by Prime Minister Modi, India approved signing of a 15-year exclusive rights contract between the Ministry of Earth Sciences and the International Seabed Authority for undertaking exploration and other developmental activities related to polymetallic sulphides in the Indian Ocean in an allotted area of 10,000 sq km in parts of Central, and South-West Indian Ridges. This was a follow up of the decision of the International Seabed Authority, under the UNCLOS that approved an application submitted by India requesting for the allocation. Notably, the ISA governs non-living resources of the seabed lying in international waters. According to an official statement issued subsequently, “… [It] will enhance India’s presence in the Indian Ocean where other players like China, Korea and Germany are active.”Press Information Bureau (Government of India) Cabinet release, “Cabinet approves contract for exploring metals in Indian Ocean,” June 15, 2016. The most significant end-use of Rare Earth Elements is in defense-related applications such as jet fighter engines, precision-guided missile systems, anti-missile defense, and satellite and communication systems, lasers, radars, solar night vision systems and the alloys on armored vehicles.Chansoria, n. 5.REEs are found in two types of commercially available, permanent magnet materials, i.e. samarium cobalt (SmCo), and neodymium iron boron (Nd-Fe-B) – both considered the world’s strongest permanent magnets that are essential for many military weapons systems.For more details see, Reed M Izatt, “Military Success, Rare Metals and the Periodic Table,” Investor Intel Corp., January 28, 2016.While the SmCo retains its magnetic strength at elevated temperatures, rendering it ideal for military technologies such as precision-guided missiles, smart bombs, and aircraft, it is the superior strength of Nd-Fe-B magnets containing a small amount of added dysprosium, which allows for the use of smaller and lighter magnets in defense weapon systems.Ibid. Components for satellite communications, radar, and sonar on submarines and surface ships, and optical equipment and speakers.For a detailed debate on the subject see, Reed M Izatt, et al., “Challenges to Achievement of Metal Sustainability in Our High-Tech Society,” Chemical Society Reviews, vol. 43, 2014, pp. 2451-75. There is a fine distinction in terms of what is interpreted as strategic in terms of defense, from what is considered strategic, in a pure economic sense. In defense terminology, being strategic is identified as serving as a critical component in weapon platforms such as aircraft, ships, armored vehicles, in addition to sensors, radars, optronics systems, and command, control, communications, intelligence, surveillance and reconnaissance systems. In economic terms, it implies facilitating the supply of power to the economy, supplying mass consumer product industries, serving as key feedstock for high technology, however clearly in the civilian industries.For more details see, Keith Campbell, “Strategic minerals and the aerospace and defense industries: Vulnerability and Criticality,” Creamer Media Mining Weekly, April 30, 2015.Interestingly, the US’ Strategic and Critical Minerals 2013 Report, the British House of Commons Science and Technology Committee’s list, and France’s Committee for Strategic Metals set up by the Ministry of Industry, much alike, do not distinguish those metals that are strategic, specifically in defense, or economic terms. With the scope of dependencies elaborated above, nations are fast becoming more and more contingent to import rare earth elements from China, primarily owing to two reasons: 1) almost 75 percent of the permanent Nd-Fe-B magnet production is concentrated in China; and 2) the cost of operations is comparatively lower. It would not be hyperbolic to point out that there is nearly a one-sided Chinese dominance in global rare earth production. This consequently has driven Beijing to employ the most restrictive export policies over these elements. Besides, China holds 50 percent of the world's natural rare earth reserves (55 million metric tons out of 110 million metric tons) and a reserve base of 89 million metric tons. The Industrial Minerals Company of Australia (IMCOA) has estimated China's REEs output at around 130,000 tons per year in 2016 (up from 105,000 tons in 2011). In the eventual possibility of nations ramping up rare earth production/seeking alternative sources of rare earth materials, a major part of the processing, alloying and metal fabrication would still apparently take place in China. This would be concentrated largely in the Chinese provinces of Baotao (Inner Mongolia), Shangdong, Jiangxi, Guangdong, Hunan, Guangxi, Fujian, and Sichuan. Notwithstanding the ruling of the WTO, China has continued expansion of seabed mineral explorations in southwest of the Indian Ocean Region — facilitated as the follow-up of an approval of China's bid by the International Seabed Authority to mine for polymetallic sulphide ore. China's Ocean Mineral Resources R&D Association signed a 15-year exploration contract with the International Seabed Authority that shall grant pre-emptive rights for it to develop ore deposits in future. Significantly, Beijing has released a guideline on the oceanic science and technology development from 2011-2015 — a key pronouncement of which was promoting investments to boost China's maritime economy. The guideline, prepared jointly by China's State Oceanic Administration, the Ministry of Science and Technology and the Ministry of Education and the National Natural Science Foundation, underscores the growing emphasis on innovation for breakthroughs in key technologies that would stimulate development of emerging oceanic industries. In January 2015, China's manned deep-sea submersible vessel, Jiaolong carried out its first dive on a mission to research polymetallic sulphides, hydrothermal microbes and genetic resources during the four-month long expedition. By means of securing the approval for seabed exploration, Beijing has now acquired access to explore a 10,000 sq km seabed area in southwest Indian Ocean — making a case for nursing strategic concerns for regional players including India and Japan. Following a total of 13 dives, Jiaolong successfully discovered active hydrothermal "chimney vents" in the southwestern Indian Ocean in March 2015. Apparently, China had offered India to participate in joint seabed mining in the Indian Ocean, given that both are contractors with the International Seabed Authority. Chen Lianzeng of China's State Oceanic Administration made the offer for joint seabed exploration in May 2015. Nonetheless, it was reported that India's Directorate of Naval Intelligence expressed concerns regarding Chinese operations of its warships for area familiarization purposes, besides compiling data on vast mineral resources in the Indian Ocean Region.Chansoria, n. 5. The areas identified for deep-sea mining in Japan are hydro-thermal deposits in the Okinawa trough northwest of Okinawa Islands, and the Bayonnaise submarine caldera — believed to contain among the world’s richest seabed deposits of gold, silver and rare earth elements. The economic viability of deep-sea mining has been under the scanner for a while, given that the cost for a single mining site could be anywhere above $1.6 billion. Japan's commitments to increased R&D investments into material use efficiencies can be united brilliantly with India's desire to being at the forefront of sustainable marine resource governance. Based on the facts presented above, and the overall accompanying narrative, it would only be prudent to argue that joint collaboration between India and Japan in the Indian Ocean Region to explore and produce rare earth elements remains the way to go forward. More so, it provides a definitive direction and track for the Indo-Pacific vision and collaborative strategy of both nations. The renewed focus of India’s active engagement in the Indo-Pacific region within the ambit of its “Act East” policy initiative compliments Japan’s “Free and Open Indo-Pacific Strategy”. This initiative pushes Prime Minister Shinzo Abe’s vision for an Indo-Pacific strategic framework launched during his second tenure in office in December 2012. In order to catch up with the reality of “broader Asia”, Abe referred to Japan undergoing “The Discovery of India”—implying rediscovering India as a partner and a friend.For more details see, Monika Chansoria, “Japanese Investments Are Instrumental to India’s Act East Policy,” Asia Pacific Bulletin, no. 385, June 21, 2017, East West Center, Washington D.C.Notwithstanding the enunciation of Prime Minister Modi’s vision of India’s Act East policy and strategy initiative, this vision cannot get fulfilled without the development of India’s Northeastern region as a gateway to Southeast Asia. While addressing the centenary celebrations of a well-known voluntary organization in the capital city of northeastern state of Meghalaya earlier in May 2017, Modi emphasized India’s major thrust of improving connectivity to the entire Northeast by means of initiating major infrastructure projects in the seven northeastern states. This includes investing Rs 40,000 crores for the improvement of roads and highways. For strengthening connectivity with Southeast Asia, India began work in June 2017 on the highway from Meghalaya to Myanmar. This will constitute the base of the India-Myanmar-Thailand trilateral pact of constructing the 1,400 km highway linking the country with Southeast Asia by land for the first time in decades. Other notable connectivity projects include 19 major railway line plans, the air travel scheme “Udaan”, construction of smaller airports, and extension of the Shillong runway, which stands approved.Ibid. India and Japan are developing a concrete roadmap for the phased transfer of technology that remains in sync with the “Make in India” initiative, human resource and financial development and collaboration in fields such as highways, high speed rail technology, operations, maintenance, modernization and expansion of the conventional railway system in India. Tasked to spot investment opportunities in India, the Mizuho Financial Group, has identified key sectors in India for a focused investment approach. This comes in the backdrop of Japan being among the top five sources of Foreign Direct Investment in India. The requirements of India’s growing infrastructure needs present a compelling case for investment of Japanese capital. Tokyo has already pledged around $33 billion in investments between 2014-19 to boost India’s burgeoning manufacturing and infrastructure sector. While contribution of Japanese Official Development Loan Assistance (ODA) has no doubt bridged India’s infrastructure deficit to a large extent, Tokyo’s role in developing infrastructure in India’s Northeast will prove to be a defining turn of the real “confluence” of India’s Act East initiative with Japan’s Indo-Pacific strategy. Incidentally, Prime Minister Shinzo Abe’s grandfather, former Prime Minister Nobusuke Kishi was the first ever Japanese Prime Minister to visit New Delhi in 1957 during which he launched Japan’s first post-war ODA to India. The Indo-Japanese journey since that time has been a long, winding one. Even during the previously concluded visit of Prime Minister Modi to Japan, the synergy between India’s Act East Policy and Japan’s “Expanded Partnership for Quality Infrastructure” for better regional integration and improved connectivity was highlighted. This policy pronouncement remains momentous from India’s standpoint, especially in reference to the dire need for infrastructure build-up in India’s Northeastern states—the bridgehead of India’s connectivity to the East.Monika Chansoria, “Japan’s loans should focus on Northeast,” The Sunday Guardian, December 10, 2016.Prime Minister Modi has long been articulating his vision of India's engagement with the East, since the time he addressed the 12th ASEAN-India Summit in November 2014, having assumed office as the Prime Minister for just about six months. “The intensity and (the) momentum with which we have enhanced our engagement in the East, is a reflection of the priority that we give to this region… A new era of economic development, industrialization and trade has begun in India… Externally, India’s ‘Look East Policy’ has become ‘Act East Policy’” Modi stated. For that matter, India's zeal to engage with the East Asia Summit is a pointer towards its commitment to bolster cooperation in collectively addressing various traditional and non-traditional security challenges, which will be instrumental in ensuring security and stability for the greater Indo-Pacific region. The construction, repair and maintenance of strategic roads in the India-China border areas need to be prioritized. India has already been delayed by many years in getting its act together. Recurrence of transgressions in the border areas in India’s northeastern and western theatre at sporadic intervals is a constant reflection that Beijing apparently has chosen to keep the Sino-Indian boundary and territorial dispute alive as a tactical pressure point against India. It is well known that the Line of Actual Control (LAC) has not been physically demarcated on the ground, and, on military maps. China’s reluctance, or for that matter, refusal, to show its version of the LAC points towards a larger dodgy ploy of progressively building up its unsubstantiated case for claims in eastern Ladakh and Arunachal Pradesh. The confirmation of plans by India to construct a road network along the international boundary from Mago-Thingbu in Tawang to Vijaynagar in the Changlang district of Arunachal Pradesh needs to be fast-tracked. This should be done in addition to accelerating construction of approximately 6,000 kms of the road network in Arunachal Pradesh. A slew of road construction projects have been dedicated to the eastern sector and western sectors including Vartak that was launched initially to cater for Arunachal Pradesh and Assam. Subsequently, another project named Arunank was carved out from Vartak owing to a need for a Project Headquarter (HQ) to be located within Arunachal Pradesh. A third project termed Udayak executes work in Arunachal Pradesh, Nagaland and Assam, and is involved with construction of four critical roads in Arunachal Pradesh.For a detailed paper on the status of border infrastructure projects under India’s Border Roads Organization, see, Monika Chansoria “The Unaccountability of India’s Border Roads Organisation,” Issue Brief (Centre for Land Warfare Studies) no. 44, December 2014; and for a recent update on the construction of border roads, see, Sushant Singh, “China border roads hobbling, 12 years later, 21 of 73 ready,” The Indian Express, June 11, 2017. Asia, per se, has insatiable infrastructure requirements, touching 100 trillion yen (close to 1 trillion USD) annually. Of this, India holds the highest demand for infrastructure development within Asian countries, with Japan’s ODA commitment to India in 2015 reaching 366 billion yen, which is an all-time high. This figure remains the highest in comparison to ODA provided to any other country by Japan. The importance of securing appropriate implementation of ODA projects cannot be more emphasized, with the already received 3.5 trillion yen of public and private financing to India in five years under the “Japan-India Investment Promotion Partnership”. Japanese contributions to the development and modernization of infrastructure in India via ODA are fast becoming a vital reference point—with a majority of ODA-related projects lying in the infrastructure sector. The current financial year sees commitment of a total of 390 billion yen by the government of Japan—the highest amount committed in a single fiscal year.Chansoria, n. 20. Japan has worked on a variety of development projects in the northeast, ranging from connectivity infrastructures such as roads and electricity, water supply and sewage, to forest resource management and biodiversity. It has pledged a loan of 50 billion yen (approximately 500 million US dollars) for the Public-Private Partnership Infrastructure Financing Project to the India Infrastructure Finance Company Limited (IIFCL), and of around 15.6 billion yen (approximately 156 million US dollars) for the Guwahati Sewerage Project in Assam. Besides, Tokyo is assisting India in the field of forest resource management as well as those currently under feasibility studies by Japan International Cooperation Agency (JICA). This includes a potential yen loan project for water supply improvement in Imphal, Manipur. Japan’s role in developing infrastructure in India’s Northeast will be one of the key yardsticks to measure the “confluence” of India’s Act East initiative with Japan’s Indo-Pacific strategy. Working towards realization of this objective, the Japanese Embassy and India’s Ministry of Development of North Eastern Region officially inaugurated the India-Japan Cooperation Forum for Development of the North Eastern Region in August 2017. The inaugural meeting of the Japan-India Coordination Forum (JICF) for the development of the North Eastern Region aimed at promoting cooperation for projects in the region. Japan has been placing a special emphasis on cooperation in the North Eastern Region for its geographical importance connecting India to Southeast Asia, while India simultaneously promotes its “Act East Policy.”As per a release by the Embassy of Japan in India, August 4, 2017 available at http://www.in.emb-japan.go.jp/itpr_en/00_000394.html;also see, “First meeting of Japan-India Coordination Forum (JICF) for Development of North-Eastern Region held,” Press Information Bureau, Government of India, Ministry for Development of North-East Region, August 3, 2017.These developments notwithstanding, an imposing question is that why has no major project with Japanese assistance been announced for the India’s integral northeastern state, Arunachal Pradesh? Japan and India should seriously take up discussions and consider announcing few big-ticket infrastructure projects in Arunachal Pradesh on a priority basis. of China is more integrated into, and supposedly more cooperative with global political and economic systems than ever in its history, growing uneasiness in the Asia-Pacific region are indicators of China's increasing economic and military power, and lack of China's adherence to regional and international norms.Alastair Iain Johnston, “Is China a Status Quo Power?” International Security, vol. 27, no. 4, Spring 2003, pp. 5-56.The region by and large views the problem of China's rising power as the source of instability in the greater Indo-Pacific region. With a rising regional and global footprint, coupled with a strategic outreach that is being backed by a strong and robust military characterized by the Chinese leadership as being essential in achieving great power status, China today is far more focused and adept at supporting missions beyond its immediate periphery. Former US Secretary of State, Madeleine Albright once wrote, “The manner in which the United States engages China now and in the future will influence whether China becomes a constructive participant in the international arena.... We seek a China that embraces universally recognized human rights and global norms of conduct and one that works with us to build a secure international order.”Madeleine K. Albright, “The U.S. and China,” Diario Las Americas, Miami, Florida, July 5, 1998, available at http://secretary.state.gov/www/statements/1998/980705.htmlWhat does seem to be certain is that 21st century Asian political geography shall continue to be shaped, and reshaped, by Beijing’s presence and rise. Therefore, commensurate with its ‘Act East’ policy announcement and consequent re-orientation of India’s strategic focus, establishing security norms and rules across the stretch of the Indo-Pacific region will be a vital objective for both India, and Japan.